We ate our weight in shrimp while in Louisiana -- shrimp scampi and shrimp etouffee...so, so good. Audrey got her first wasp sting, and (understandably) it was pretty traumitizing for all of us, we saw the biggest spider on the planet in an equally giant web, and there was just generally a lot of relaxing and reading and a bit of trolling around antique shops. All in all a lovely week-end. Now for the gratitude. Thank you, thank you, thank you for all the comments on the new jeans. For those of you that are wondering, they're from Martin + Osa and are majorly on sale. The good news is that it appears I underestimated my mom and sister as they were totally down with the jeans, and after wearing them for a couple of days, I'm way more comfortable with the whole enterprise. + you guys have given me all sorts of genius suggestions and as such, I'll be trying a smaller, messier cuff and maybe a shorter top (it seems some of you aren't so enamored with my "uniform" with these jeans, and it's understandable but baby steps friends...) At any rate, you guys completely and totally rock. Hope your 4th of July was splendid! Sounds like you had a wonderful weekend! I'm glad you kept the jeans, and those shoes - divine! LOVE the first photo - so Southern! Your weekend sounded spectacular...and thankfully, the jeans were able to join in on the fun! It sounds like you had a lovely weekend, despite the wasp sting and the ginormous spider! Isn't it funny how we build up what we think other people's reactions to things will be in our heads and in reality, they never compare? I'm glad the jeans were a hit -- they should be, they're super cute! Own it! these are such lovely images...but i must admit, your story of the spider gave me shivers down my spine! Holy cow, those shoes are awesome! I just spent 20 mins. trying to find the best possible internet deal. Love 'em! Love the shoes! Glad you've come to peace with the jeans. i'll definitely let you know when the next one comes around (should be the 3rd or 4th week of august). lovely blog, i'll be stopping by regularly! Glad you had a good weekend. Lovely images. i love these photos! looks like a wonderful weekend! love the snippets from your weekend. and the shoes!! you totally rock them ... so cute. I love your shoes!!! Chunky heal + ankle strap = rocks!!! Wow I love Creola Cafe! My husband grew up in Sunset right down the street and we lived in Lafayette almost all of last year. Grand Coteau is such a great little getaway and I loved shopping out there. All the store owners are so sweet and helpful, not to mention they have great merchandise. We are heading out there in a couple of weeks and I can't wait! thanks for sharing and you have incredible style...i don't think you could go wrong! love the shoes!! 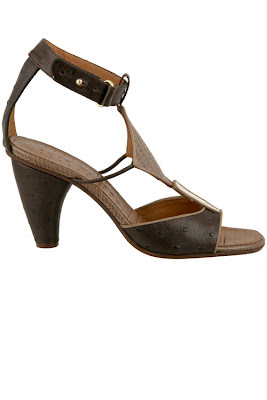 looks like someone who isn't so used to heels might be able to wear these. what great taste! grand coteau, no? don't you love that little area lined with sweet shops? hubs and i go there quite often. beautiful pictures. it's looks like a lovely weekend. How nice you had a lovely weekend. :) Peace and... many moore! Lovely photos. It sounds like you had a great time. 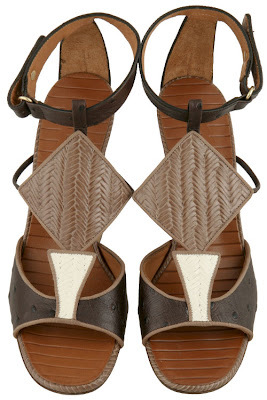 And I love Chie Mihara's designs.